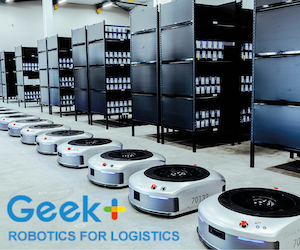 Techmetics, a robotics solutions company, has launched two new autonomous navigation robots – the Techi Butler and Techi Cart series. Hannover Messe this year aims to show visitors the path ahead to tomorrow’s factories with in-depth coverage of Industry 4.0 technologies, artificial intelligence, 5G, lightweight construction and the future of work. Sporting a significantly enlarged conference program, it will also be a major dialogue hub for forward thinkers from industry and government. A project called Hybrit is aiming to revolutionize the iron and steelmaking by removing fossil fuels from the process. The initiative says it is developing methods to replace coking coal, which is traditionally needed for ore-based steelmaking, with hydrogen. 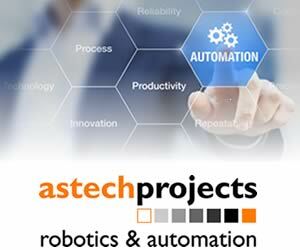 The global market for robotics continues to show impressive growth, according to a recently published BCC Research report: Robotics: Technologies and Global Markets. John Deere is rolling out its new construction simulators – further bridging the gap between the classroom and jobsite. The modular update outfits the new John Deere simulators to one of six machine types: backhoe, crawler dozer, excavator, wheel loader, joystick-controlled motor grader and fingertip control motor grader. “The next generation of John Deere simulators builds on a state-of-the-art technology that teaches machine controls, hand-eye coordination, safe operation, and operator technique,” said Jon Goodney, manager learning technology, John Deere Construction & Forestry. Komatsu America has entered into a definitive agreement to acquire TimberPro. The acquisition is expected to close on 1st April 2019, subject to completion of the closing conditions. Starting this month, Free2Move Paris will be making its free-floating cars available to users in the inner Paris, France, suburb of Issy-les-Moulineaux. After opening in the Bois de Boulogne and Bois de Vincennes park areas, the fleet’s expansion to Issy-les-Moulineaux is part of an assertive strategy to boost service coverage. Free2Move is a free-floating car-sharing service where users can park for free in authorised parking spaces and designated electric vehicle spaces (ex- Autolib). There are 1,700 such spaces in Paris, and 125 in Issy-les-Moulineaux.